Given how stressed our lives are it’s easy to fall into bad eating habits. From take-away fast food to biscuits and other sweet treats, poor dietary decisions can wreak havoc on our health. We want to help. Our clinical nutrition services are focused on creating sustainable eating habits—bringing nutrition back to basics—to improve your everyday health. We aim to treat the person as a whole, through assessing diet, lifestyle, stress, sleep and mentality to investigate the underlying causes rather than symptomatology alone. 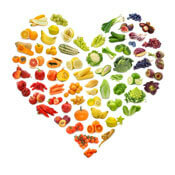 Our Clinical Nutritionist Lisa Cinque offers a variety of custom-tailored services to our clients. Expect to have an in-depth investigative approach into your health concerns with ongoing support. The consultations are a holistic approach to dietary advice and health education for the prevention and management of all acute and chronic illnesses. A comprehensive health and dietary assessment will be provided to determine how diet and lifestyle affect your current health and wellbeing. Part of that assessment includes pathology testing, including blood testing. A physical exam also will look at your hair, skin and nails, as the health of those can offer clues as to what’s going on in your diet. Lisa also will get your weight and measure your waist and hip circumference as part of her comprehensive evaluation. Application of individualised evidence-based solutions will be discussed. These include using food as medicine, nutritional supplements (where needed) and lifestyle recommendations to restore the quality and health of your life. Assessment of how factors such as weight, exercise, stress and sleep may impact your life will be considered. Nutritional recommendations focus on your education, restoring and optimising your health and wellness through the therapeutic power of food. Initial consultations with Lisa range from 60-90 minutes, and follow-up appointments are about 30-45 minutes. Lisa will provide you with a weekly food diary. She then uses the latest clinical nutrition software to gain a representation of your nutritional status. Macronutrients (proteins, carbohydrates and fats), as well as micronutrients (vitamins and minerals), can be calculated. Allow 2-3 business days to have a colourful nutritional report generated from your provided weekly food diary. Each week you will be given a new report that we can compare to your baseline one to see how you’re progressing. These comprehensive and easy-to-read reports will be presented to you with the breakdown of nutrients you are either consuming in excess or deficient in. This report will be interpreted with you in a follow-up consultation. The follow-up appointment will provide relevant nutrition recommendations to support (increase or decrease) certain nutrients and presenting health concerns/symptoms. Lisa offers personal shopping in a supermarket to help you navigate the aisles, read labels and ultimately help you build your confidence to make the right choices for you and your family. She can also help you plan a week’s worth of healthy meals based on the type of diet you subscribe to such as vegan, for example. Lisa doesn’t recommend a particular diet but will develop a meal plan based on your preferences. Let’s get you building life-changing habits at home. Lisa will help you by assessing your cupboards, pantry and fridge. You and Lisa will clean out the junk foods together and restock your kitchen with healthier options. Lisa gets lots of internal referrals from the chiropractic clinic. Some patients come in overweight and that puts a lot of weight and pressure onto their joints. Working with them to reduce their weight also helps with their chiropractic care. A lot of people have inflammation such as an inflamed back which causes back or shoulder pain. Lisa can do some nutritional work such as providing anti-inflammatory diets. Those help with holistic healing. When your body is not inflamed, you will be more relaxed and less tense and have less pain. If your nutrition could use a boost, we want to help. Lisa will work with you step by step to help you achieve your goals. Contact our Sylvania Waters practice to book a consultation!